Today was probably the most important day of the American Olympic Qualifiers as the results in semifinals directly impacted their boxers’ participation in the upcoming Olympics. The ladies were first to step foot in the ring during the afternoon session. 51kg Mandy Bujold offered a superb performance against Brazilian Grazieli Jesus de Souza. The Canadian seemed right in her element as she imposed her rhythm very early in the bout. Her aggressive boxing style was on point and her defense was spotless. 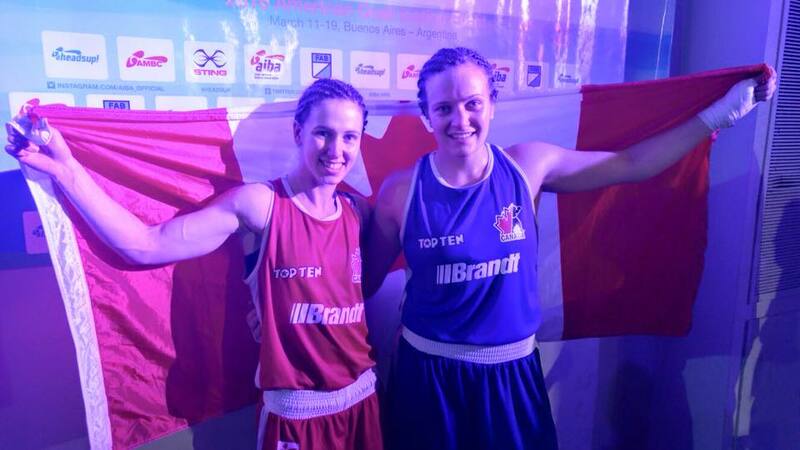 After four years of hard work and sacrifices, Bujold punched her ticket to Rio with a unanimous win. Ariane Fortin(75kg) was the last boxer to jump in the ring during the afternoon session. In this very close bout, Fortin faced Andreia de Oliveira Bandeira. Both boxers showcased a strong and aggressive style throughout the four rounds, giving their all, but ultimately it was the Quebecer who had the last word. Fortin won the bout by split decision and secured her spot in Rio. The finale for both the flyweight and middle weight’s division will take place Saturday afternoon.